The communist state Arstotzka just finished a 6-year war with neighboring Kolechia and has claimed the border town of Grestin. Your job as inspector of immigration is to control the flow of people coming from each of the borders. Among the multitude of immigrants and visitors seeking work, no hidden smugglers, spies and terrorists. Only using the documents provided by travelers and inspecting, searching and using fingerprints, should decide who can enter and who should be rejected or stopped. 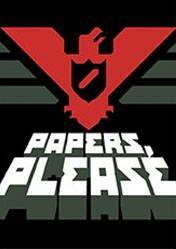 Papers Please Full Game Walkthrough - Part 1 - IT'S FINALLY HERE!